So I thought I would showcase a few of my favorites from this past year or so... the bridal portrait above makes me swoon—I love the dress, and I actually love the blush color (which is impressive for this traditional girl). If I were to get married again (to my Superman, of course), then I would go hunting for this dress... but probably in white, because I'm a sucker for white. Love this bridal portrait! It was a gift for my client's parents on their wedding anniversary. Obviously not the first anniversary gift, but a beautiful tribute to their long standing love story. This was a joy to illustrate, and so fun to step out of my comfort zone! This lovely bride found me on Instagram and we've been friends ever since! 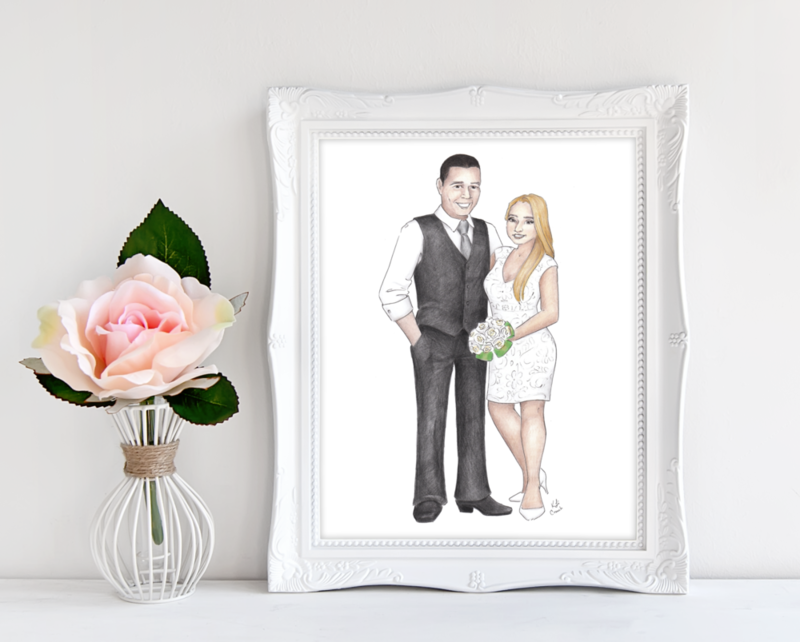 It was a joy to work on this piece for them and celebrate their new life together.